Join us for the leaf change this October and learn about October investment risks… where to gain safety and profit now. Beware the Ides of October. Like the Ides of March there is turmoil in this month. See three thoughts on October risk and investing below. The leaf change has begun. 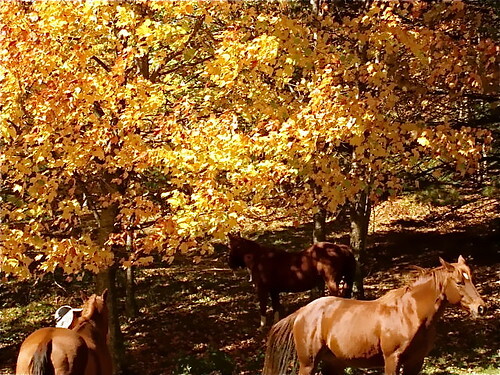 Leaves are scattering in the wind like golden raindrops. 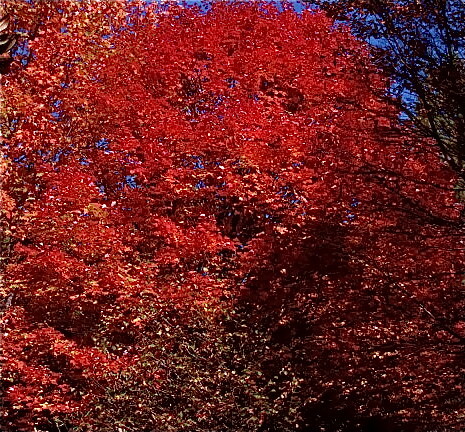 The trees bring out their crimson and gold drapes this time of the year. shadows frame mountain pallets of yellow, orange and rust. 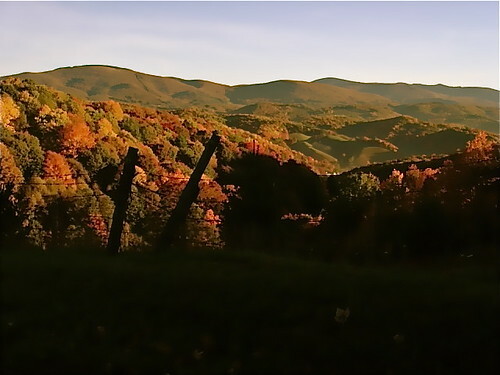 We love the Blue Ridge for its old time, solid values. Surrounding oneself in such foundations is of extra value in October… the bewitching investment month. We always have our October course on the first week of October, in part, because this is when traditionally the best leaf colors show, autumn in its glory! October Risk Thought #1: In the Roman calendar: the 15th of March or May or July or October or the 13th of any other month is the IDES. Cesar learned of the risks of the Ides of March. Investors should know about investment risks in October. For example in October 2008, there were 20 days when the benchmark’s daily change exceeded the 100-point level in 23 trading sessions. 20 days of triple digit moves in one month is phenomenal. In all of 2006 for example there were only 33 trading days when the Dow gained or lost triple-digits in the entire year. 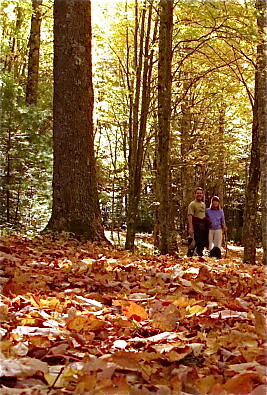 You can see here the big October 2008 fall. The October 27, 1997 mini-crash is the name of a global stock market crash that was caused by an economic crisis in Asia. The points loss that the Dow Jones Industrial Average suffered on this day still ranks as the seventh biggest point loss in its 114-year existence.Yet this crash is considered a “mini-crash” because the percentage loss was relatively small compared to other Octobers. Look at how much the Dow dropped in these Octobers. Octber 1987 was especially rough! The Dow fell 3.81 beginning October 14. That’s bad enough but this was followed by another 4.60% drop on Friday, October 16. On Black Monday, the Dow Jones Industrials Average plummeted 508 points, losing 22.6% of its value in one day! Statistically September is the worst month, but more than 40% of the Dow’s biggest daily declines have come in October. Unsurprisingly, more than 70% of the Dow’s worst “daily dives” have occurred in an September/October two-step. October began the great depression! 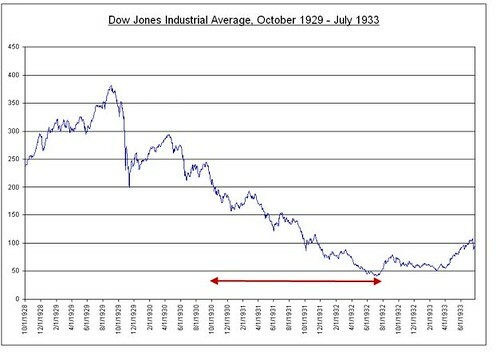 On August 24, 1921, the Dow Jones was 63.9. By September 3, 1929, it had risen more than sixfold, touching 381.2. This was a bubble for sure but the Dow would not level again for twenty five years. The fall began on a Black October Thursday. Then on October 29 (known as Black Tuesday) the Dow collapsed 12.8% in a day. Here you can see the beginning of the huge stock market crash of 1929 and the biggest drop of all that kicked the disaster off in October. October Investing Thought #2: October investing is extra vital because of seasonality. Low yields and growing risk on heretofore safe investments… at a time when bond risks are higher than ever before forces us to consider investing more in stock markets. About this time each year I remind readers about seasonality. Autumn mountain frosts bring crunchy paths. October can be a crunchy month for equity investments as well. October is a month to exercise extra caution in your equity portfolio! A statistical analysis was done some years ago by Michael Keppler. This study shows that most appreciation in most major equity markets, is achieved from the beginning of November through the end of May. Keppler showed that over 30 Years Dow the Dow grew 8.16% overall. Historically the best five months where there are the best chances of equity profits end in about 30 days. There is no on-off switch I know of but we should be thinking more about risk aversion beginning about now. So beware of the stock market in October. This is the time to prepare for the best investing months ahead. October Investing Thought #3: October can be the best to make investments…even more so in 2010… because of high bond prices. There is a bond bubble caused by global risk aversion. After last week’s positive performance, on the back of positive signs from both the US and Europe, an article in the Wall Street Journal destroyed the good mood in the markets. Wall Street Journal questioned the Stress Test of European Banks’ and indicated that the test did not take all factors of the European debt problem into consideration. This resulted in a “risk off” sentiment and once again the markets went south. The volatility indicates that the market continues to be nervous about the potential of a double dip, meaning that the economy is falling back into recession. The US economy is still growing, but at a slower pace than expected. The Beige Book, released Wednesday, confirms this statement, as 5 of the 12 Federal Reserve’s districts found the economic activity mixed or decelerating in the late summer, compared to the previous survey. Not everything is negative. The economic figures from Europe and Japan have been somewhat positive this week. The Japanese trade balance is back to a surplus not seen since the beginning of the financial crisis. The Danish trade balance once again showed an impressive surplus. The surplus is close to double up from the pre-crisis level, and also the consumer confidence has showed a nice and firm development and is currently back at the same levels as in 2007. German factory orders were published this week, the numbers were somewhat below expectation, but still very positive compared to last year. Thursday, the Norwegian Government Pension fund (net assets of 450 billion USD) announced that it increased the holdings of Greek, Spanish, Italian and Portuguese government bonds as the fund does not expect any of these issuers to default on their debt. On the same day, the Portuguese government bond auction was oversubscribed 4.5 times, a positive surprise as Portugal is one of the European countries under pressure due to high budget deficit and high debt. The article in Wall Street Journal was soon forgotten and the stock markets reacted positively, switching sentiment to “risk on”. We expect to see a continued volatile market in the short to medium term, but our main scenario is still a sub-par economic recovery. THOMAS FISCHER from Jyske, Copenhagen, will join us to update this thinking at our October conference. Bonds are in a bubble. Bond markets have outperformed all stock markets this last year. October is a month that is more likely to drive shares prices down and we can spot a special opportunity in high dividend shares. Economic growth and stock markets could be slow for years. Less cyclical companies and companies paying high dividend yields are now more attractive. Interest rates are at historic lows. Money in the bank generates little or no return. Bonds yields are minimal and at risk to inflation. 2.6% for 10-year Treasuries practically guarantees a loss of purchasing power. The alternative is high-quality equities that offer dividends that are higher than cash and bonds. As the next few years most likely will show subdued economic growth, we believe that less cyclical companies and companies paying high dividend yields have become even more attractive. – 2.6% for the 10-year Treasuries – is not that appealing. We believe there are a great number of high-quality equities which offer a yield in excess of cash and bonds. Jyske has identified 54 major companaies that are paying between 3% and 7% dividends. We’ll review some of these equities in tomorrow’s message. Do not miss it. We’ll reveiw them all at our seminar. Join us to learn about these shares. this October. Enroll here. Oct. 7-10 West Jefferson, North Carolina. The October course will be conducted at Jefferson Landing Golf Club and Resort.